When countries move from manufacture-oriented to service-oriented societies, the service sector becomes ever more important. Through this development, coalitions of industry and service companies play a crucial role to respond to individualized customer demands. Those coalitions are referred to as service networks. A vivid IS community in Europe and the United States emerged, to explore and advance the role of IS in service networks. On their way towards global economic leadership, service networks also play a crucial role for the BRIC countries (Brazil, Russia, India, and China). However, so far research on that topic is at an early development stage in those emerging markets. A Brazilian-German workshop held in 2011 in Florianópolis brought design-oriented researchers from both countries together. 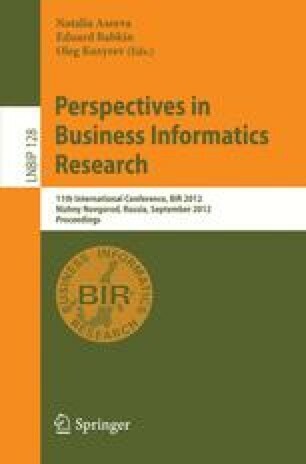 In this paper we present the identified research challenges for IS research on service networks, potential contributions to meet these challenges and conclude with a research agenda for the forthcoming years.